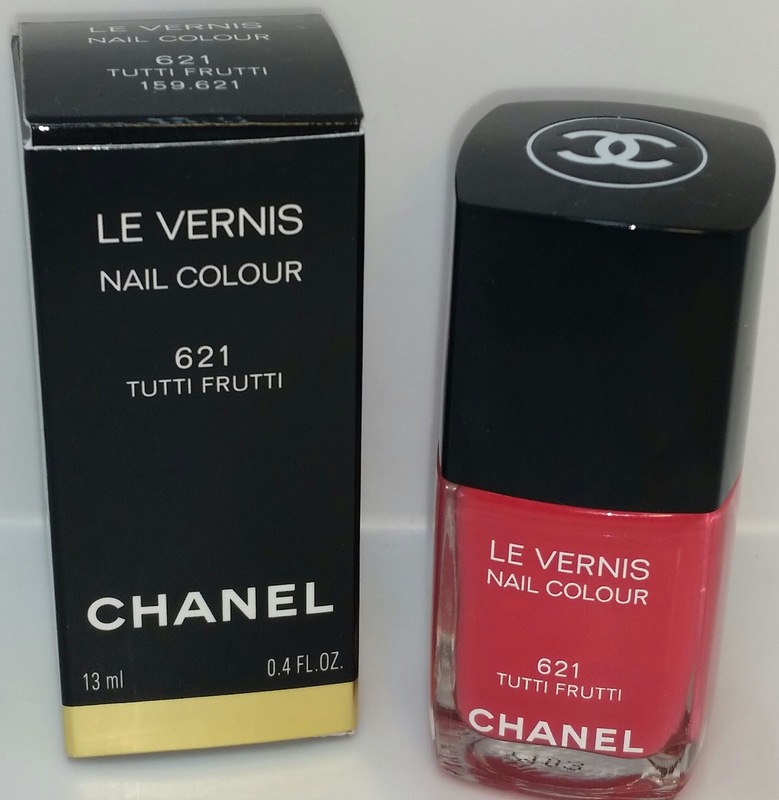 Chanel 621 Tutti Frutti is a beautiful pinkish coral nail polish with miniscule flecks of shimmer. The formula is semi-opaque and took two coats of polish to completely cover the nail. Also, during application the polish did leave behind a few streaks and applied a little unevenly. The polish wore for about three days with minor chipping at the tips. The polish currently retails for $27.00 USD and contains .4 fl oz. of product. 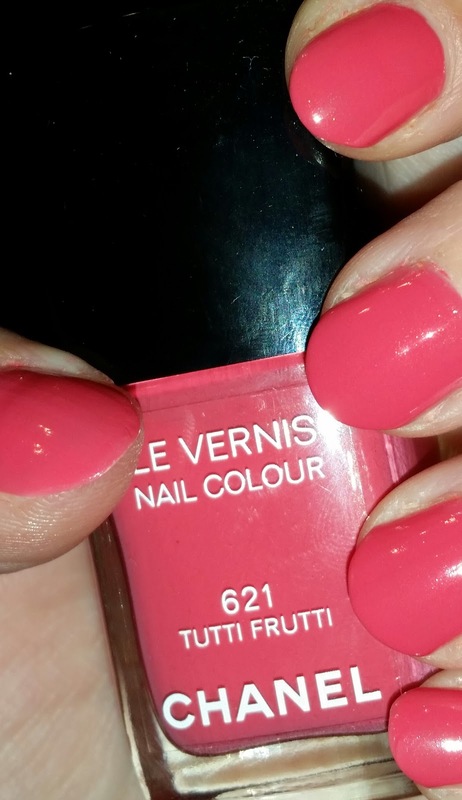 Tutti Frutti is part of the Chanel Summer 2014 collection REFLETS D’ÉTÉ DE CHANEL. Read more about the collection or individual pieces below. This one is nice as well!